In an amazing change of normal thinking, I believe that my kids have helped my gaming. For those who follow me on Twitter, you’ll know that I haven’t had very much time to play Diablo III since it’s been launched, due to various (mostly kid-related) circumstances. At the time of writing, I have a level 26 Barbarian who is recently into Act 3, and I’m still enjoying the game to its fullest extent. Yet when I look on Twitter, the official forums, or other blogs, I notice a trend of people saying that they’re bored with the game already and are disappointed with Blizzard for not making a game with staying power. To me, this seems very odd. However, these people are already into Inferno difficulty on multiple characters only three weeks after launch while my highest alt is only level 8 and still hasn’t killed the Skeleton King. I never realized how much better a game could be when it’s paced out and enjoyed over time. In the past, I’ve been the kind of guy who sits down and plays as much as possible to see everything as soon as I can. The game would be finished, then I’d play again and again, then I’d stop playing after a while. Now, because of my two young kids, I’m forced to have only a few hours spread out over the week to actually devote to my gaming. Instead of having finished the game and getting bored while replaying it with alts or higher difficulty levels, I’m still experiencing new content. It’s a very new and different experience. That being said, I’d love to have more time to play. I’m itching to get back into the world of Sanctuary and destroy the minions of hell. Fortunately though, when I do get that time to play, I’m finding that I’m enjoying it a lot more than I have had with other games. 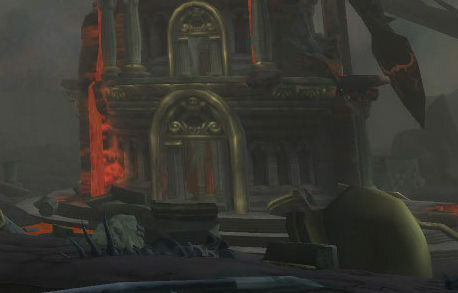 When Mists of Pandaria comes out, I’m sure that the situation will be very similar. Having a few hours here and there, I will most definitely not be the first person to level 90. I’ll be behind on the leveling curve, the gear-getting curve, the crafting curve, and whatever other curves there are. But when the time comes that I’m in game, I plan on enjoying it to the fullest extent. Even though play time can be limited, being a parent comes first. I might complain about not having much time, but hearing my kids laugh and having fun with them is much more of a reward than killing Diablo on Inferno. Not even a close comparison. Once a year, there is a time where there is a sense of peace and calmness in the air. Enemies have meals with each other and discuss strategy. Strangers go out of their way to help each other. Altogether, life is pretty good for two days a year. I’m not sure what you were thinking about, but I’m talking about BlizzCon. Blizzard is a company that obviously values their fans, and appreciates the followings they have for their games. Why else would they spend so much money putting on a two day festival for their games, and likely lose a lot of money in the process? With all of the stuff that happens at the Anaheim Convention Center that is included in the ticket price, it’s well worth more than what you pay for. My wife and I were fortunate enough to go to BlizzCon in 2008, and had an amazing time there. More than likely, I’ll be doing some sort of a post around this time every year to reinforce the fact that it is an awesome trip, and I can just hope that everyone has the chance to go to it at least once. Multiple times is even better! However, we must deal with what has just happened. One of the best parts came shortly into the opening ceremonies, which was the annoucement of the World of Warcraft annual pass. This has a person commit to a one year term with WoW in return for some really great perks. The number one perk being that you can get Diablo III for free. Yes, free. When the game is released, the digital download version will be provided to people who are signed up with this, as well as an in-game mount called Tyrael’s Charger. Pretty sweet deal, if you ask me. Obviously, the big deal this year was the new WoW expansion: Mists of Pandaria. We have a new expansion coming, and for the first time since Vanilla we won’t have any sort of a “main villain”. There will be a number of enemies that will be there to smash, along with a ton of new features. 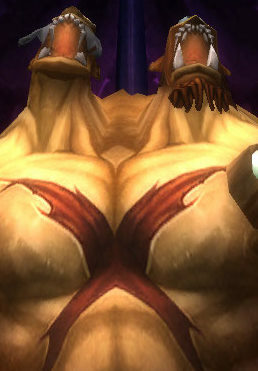 The biggest things are definitely the new race of Pandarens, the new class of the Monk, and the new continent of Pandaria. Along with that there will be a new Pet Battle system, PvE scenarios, challenge dungeon modes, a new talent system, among many other things. When we first heard about Mists of Pandaria being trademarked earlier in the summer, I was very skeptical like many others. Yet, after seeing all the details come forth in the various panels through the BlizzCon virtual ticket I am very pleasantly surprised at how excited I am about it. The way that they have the lore fleshed out as well as the gameplay shown has me convinced that this could turn out to be quite good. Of course, I’m a Blizzard fanboy, but that’s beside the point. One thing that I think I’m really looking forward to is the Pet Battle system. In essence, it’s Pokemon inside WoW including having a few different abilities that will be used in a turn-based battle system. Companion pets will be account-bound for the most part and can be used to battle each other for prestige and rewards. Basically, it’s a brand new pasttime for people to spend a great amount of time and money with. The talent and spec system revamp looks very exciting. Basically, talent trees will be gone and replaced with different choices to make about your abilities at certain levels. Whereas before we were limited by what spec you were to choose your abilities at higher level, now there will be certain talents that can be taken by any spec. As an example, Living Bomb will be able to be learned by any spec rather than just those who spec in Fire. As time goes on and we get to see how the system fleshes out we’ll have a better idea of how it will all work. Even though the Pandaren were once used as an April Fools’ joke, the new concept art and character models that were shown give a great look at them in-game now. 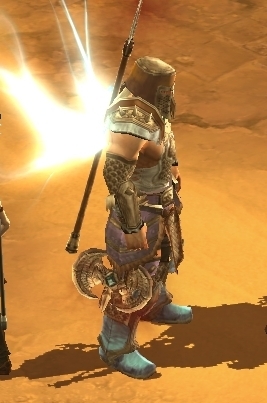 They don’t look as comical as they did in the old joke posts as well as in Warcraft 3. I’ve always enjoyed Samwise’s drawings that have surfaced over the years, and this makes them really fit in to the Asian theme that has been developed for the new continent. Plus, the Pandaren starting zone is on the back of a turtle. How awesome is that? I own StarCraft II and enjoy playing it, however I’m not very good at it. Even so, I really enjoy the game and love the story. Though more often than not I would not win the matches (PvP, I wasn’t too bad at vs AI), the game itself is very great. At the end of Day 1 of BlizzCon, they had a match of the Global Starcraft League which is based out of South Korea. Many people will know that the game is absolutely huge in the country, and there is a massive eSports market built around it. Out of curiosity, my wife and I decided to tune in to it and see how the games were going… and we found that we were enjoying it much more than we thought we would. The fight was Terran vs Terran (MMA vs MVP), two amazing players who put on a great fight. In the end, the underdog (MMA) won the match with 4 wins to 1. I stayed up until 1:30 in the morning to see this, since I was so enthralled by the action. Because of this, I decided to re-install SC2 and start playing it again. Good job BlizzCon, you did your job. Thankfully, Diablo III will be coming out soon (we hope). The biggest announcement with this game was definitely the WoW Annual Pass giving the game for free, but there was a great lore panel along with some good gameplay footage and overall cool stuff. Diablo I and II were somewhat lacking in the overall lore, and as Chris Metzen started at the beginning of the D3 lore panel, this was the first year they’ve actually had a panel devoted just to lore of that universe. The story has been expanded tremendously, and I’m extremely excited to see how the game turns out. We didn’t hear anything about the “Titan” project, which was said a few days before the convention started. While this isn’t great, this is Blizzard we’re talking about – they don’t give out any details until they’re ready for it. Personally, I would rather have something polished as opposed to something halfway done. There are more projects being worked on within the walls of Blizzard. Through some of the interviews that happened, as well as looking at the job postings on the Blizzard site, we know this. As with Titan, we just won’t be given any information until they’re ready. As much as I wish I could have made it to Anaheim this year, unfortunately that just didn’t happen. The virtual ticket was the next best thing that could have happened, and fortunately through that I can watch things happen after the fact. As I write this post, I’m watching some of the panels that I missed through the days. I have to say a huge “thank you” to Blizzard Entertainment. BlizzCon was one of the best experiences that I’ve had, and every year I look forward to it whether or not I can actually be there. I can’t imagine the amount of work that goes into the convention and how much money is spent, but I’d like to say that it’s totally worth it. 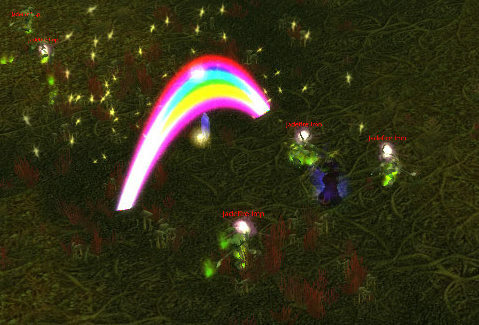 This post is part of a Shared Topic on Blog Azeroth. Be sure to check out posts from other great blog authors! After my last post was linked on WoW Insider, I saw a couple of comments on the page that made me think. 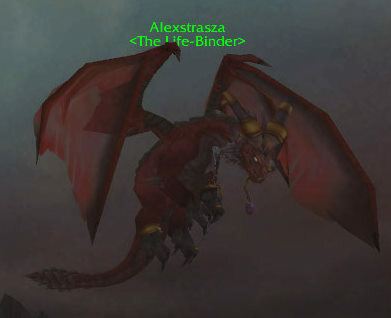 Firstly, I realized I didn’t do that great of a job explaining my position on the Premium Dungeon Finder. Secondly, I realized that there’s a lot more to this “premium” thing that should be discussed. Through the ensuing blog posts as well as Twitter conversations, I thought I’d expand my thoughts. To begin with, it was a new and controversial move when MMOs first started charging a monthly subscription for games. Up until then, you paid your money for the game, and played as much as you want for the initial cost. Games that had vast multiplayer services like other Blizzard games (Warcraft III, StarCraft) or first-person shooter games (Counter-strike, Quake) operated on the one-time payment and provided the rest free of charge. I don’t know the economics behind this all, but I’m pretty sure that these games would have to sell a lot to be able to provide free multiplayer services. Even to register a domain name for a website, there’s a fee. Heck, in many major cities in Canada and the US, it’s hard to find free parking at times. Behind everything, there is some sort of cost – whether it’s seen or not is the big thing. Warcraft II: BNE & Warcraft III, Diablo and Diablo II, StarCraft and StarCraft II all offer free multiplayer through Blizzard’s Battle.net service. At any given time there are millions of people playing games on their servers, using the bandwidth they have to pay for, and ultimately costing the company. Someone has to maintain the servers to make sure they are at peak performance. Someone has to administer the people working on said servers, and the data centres that house them. Even though people playing those games only pay up front, there are real costs that Blizzard has to deal with on an ongoing basis. Thus we have the reasoning for a monthly subscription fee for MMOs, as they are a whole new ball of wax. Rather than being separate instances of a game, they are a persistent world that also has instances within them. They must allow thousands of people to log on to a server and play the game as the company has designed and have fun doing it. If the servers crash repeatedly, nobody is having fun. The monthly fee goes to offset the likely astronomical costs of being able to maintain the server networks. We already pay a monthly fee, why do we need to pay more for extra services? I forget who exactly, but someone on Twitter gave this example: “I already pay for my cable, why should I pay more for the HD package?” Similarly, it’s the same as going to a Starbucks and asking for a coffee with an extra shot of espresso but not wanting to be charged for it. Both examples are extra services or products that are offered, but not essential. The Premium Dungeon Finder is something that will require Blizzard to change their network infrastructure. The servers right now are physically located at various points around the world in clusters. The Battlegroups are set up as such, and the people who group together in the Random Dungeon Finder (LFD) or battlegrounds are pulled from these server groups. Blizzard is working on making it so eventually it will be region-wide, with no extra cost for the player. By changing the LFD system to be able to pull people from your Real ID friends list specifically from servers around the region, it is a major change that was likely not planned for when things were first set up. Finally, even though the game has been out for six and a half years, the subscription rates have not changed once. Inflation has brought many prices higher across many different industries, but we pay the exact same to log on to WoW as we did when the game first started. I’m pretty sure that there is a lot of money lost by keeping these rates the same. In the end, I highly doubt that Blizzard will introduce something that is so game changing that it is a requirement to pay for it. If they did, they would most definitely lose a lot of subscribers, and likely myself included. I believe in getting a fair deal, and I think Blizzard has given us a good one so far. If you want these extra features, you can pay for them. They are not necessary, but they’re helpful and useful. I personally will not be getting the WoW remote subscription or the Premium Dungeon Finder when it comes out, as both of them are not worth it for me. Everyone can choose for themselves to see if they think it’s worth the extra money for the services received.